Not wanting to reinvent the wheel I think Pod Foods website perfectly describes this lovely venue “Nestled in a unique position amongst the beautiful established gardens of Pialligo plant farm, the quaint character filled, fully restored 1930’s cottage offers a unique dining location close to the Canberra CBD”. If you love secret gardens this is definitely one of Canberra’s hidden gems. Enjoying a lazy lunch last week with my gorgeous husband of two years and baby boy, we had a great afternoon eating delicious food and enjoying the serenity of the lush green surroundings. Much to my delight after chatting to the friendly waiter I discovered that Pod Food also offered a high tea menu, which is only sensible as they have the perfect location. 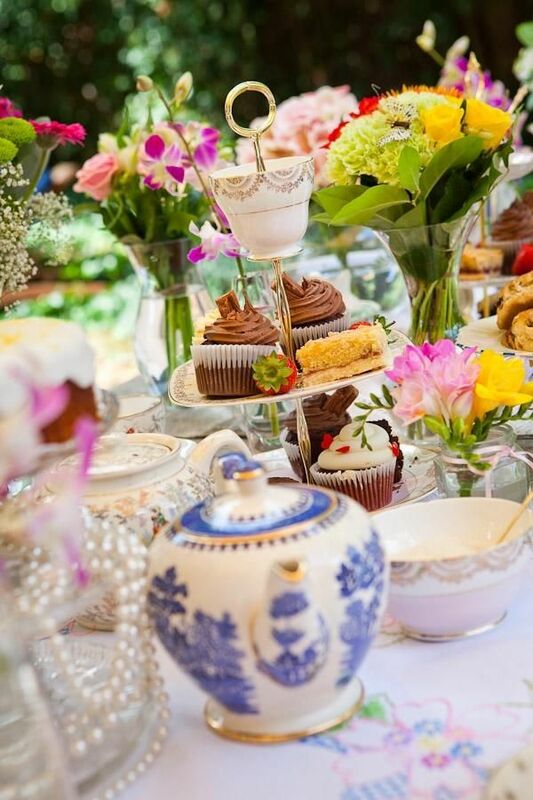 What is even more exciting is that they are happy for groups to set the tables however they like, allowing Sweet Tea to help make what would be a delightful afternoon of tea and treats even more beautiful.